Good news for Ferrari fans! Acer America has announced the U.S. launch of the new sleek, ultra-portable Ferrari One notebook, the full-featured, 11.6″ notebook PC that combines performance and extreme portability, utilizing the same exquisite details and performance features celebrated by Scudetto Ferrari, based on Windows 7 Home Premium operating system. 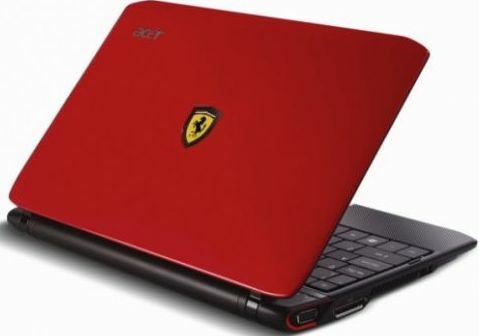 Acer Ferrari One FO200-1799 notebook which measures 11.2 x 8.03 x 0.9/1.2 inches and weighs in at 3.31 pounds is now available in the United States for a MSRP of $599.99.